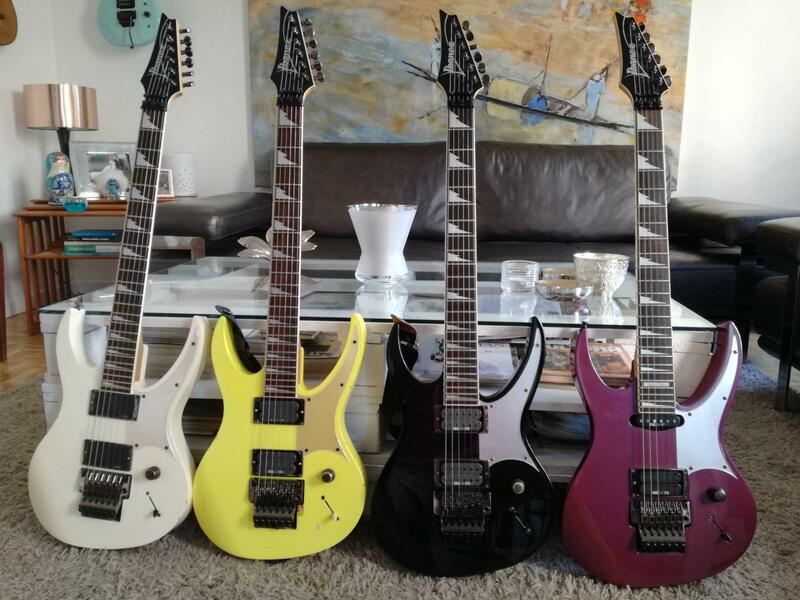 Jemsite > Buy, Sell or Trade > Classified Ads: Guitars and Gear > [FS] Ibanez 540Pii (Skolnick) x 4 --- Collector alert ! [FS] Ibanez 540Pii (Skolnick) x 4 --- Collector alert ! testing the waters about selling my collection of four 540 PII. if you're interested just pm me. I'm based in the EU, so preferably EU/UK. Will try to upload pics soon, but again, pm me if interested. purple one is 24 fret, HS. FireEagle and mlusiak like this. Re: [FS] Ibanez 540Pii (Skolnick) x 4 --- Collector alert ! Last edited by jemsite; 12-18-2018 at 09:13 AM.